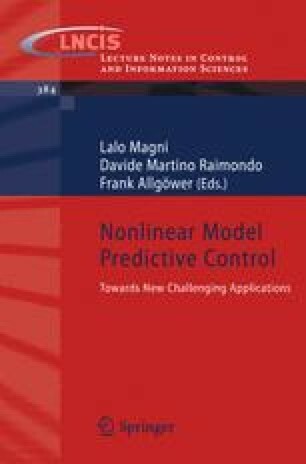 Sensitivity-based strategies for on-line moving horizon estimation (MHE) and nonlinear model predictive control (NMPC) are presented both from a stability and computational perspective. These strategies make use of full-space interior-point nonlinear programming (NLP) algorithms and NLP sensitivity concepts. In particular, NLP sensitivity allows us to partition the solution of the optimization problems into background and negligible on-line computations, thus avoiding the problem of computational delay even with large dynamic models. We demonstrate these developments through a distributed polymerization reactor model containing around 10,000 differential and algebraic equations (DAEs).